In this week’s blog I will be discussing what muscle memory is and how Somatics is a much more efficient way to release tight and tense muscles than stretching. Mindfulness with Total Somatics centres around releasing chronically tight muscles, reducing pain, improving mobility and providing skills to empower and educate you to take back control of you health and well being. Mindfulness with Total Somatics (www.TotalSomatics.com) works at changing muscle memory. To begin with, there’s no such thing as memory stored in your muscles. Muscles are purely the engine which pulls on your skeletal system to create movement. All Coordinated muscle contractions are actually initiated through electrical stimuli from several areas of the brain. They work beautifully together to create a movement and complete a task. Often people pride themselves on multi tasking but in actual fact your brain has been designed to focus on one task at a time to get the best results. Your brain likes to work to its optimum function, so it will often use previous memories to instantly access a particular motor pattern. These memories can be walking, riding a bike, driving, swimming or how we sit for hours on end at work. These can be unhealthy muscle memories if you hold yourself incorrectly. Once a memory has been formed, a person can smoothly and accurately repeat these tasks over and over again. This becomes automatic and is classed as a habituated behaviour. A habituated behaviour doesn’t require a great deal of mental effort. It can become mindless in its manner. So this action is what people refer to when they use the term MUSCLE MEMORY. But the neuromuscular term used for muscle memory is an AUTOMATIC NEURAL PATHWAY. The automatic neural pathway actually starts in the frontal lobe which is the area for focus, concentration, awareness, emotional intelligence, thoughts, strategies, motives and decision making. This is where you decide on a physical task. Inside to this area, you have a region of the brain called the PreMotor cortex. This area includes lots of activities which are created by your automatic neural pathways. These activities includes actions such as walking, swinging, running, catching, throwing, grabbing and dropping. Your brain then selects which motor pattern it requires from its memory bank. This then fires through your motor cortex. We’ve learnt about this part of the brain in previous blogs, for further information check out this link: https://totalsomatics.com/if-you-don’t-use-it-youll-lose-it/. The motor cortex is part of your brain map. There are certain regions of your motor cortex which correlate with certain areas of your body, such as your right arm or left leg. Once the motor cortex has activated, the cerebellum takes full control of this movement. Amazingly the cerebellum is 10% of the brain’s mass, but it contains 50% of the brain’s neurons. It is the automatic area of your brain which control actions such as keeping your heart beating and your respiratory system breathing. It also controls balance, muscle tone, coordination. Coordination is the key to completing any complex movement. Working in real time with your perception, the cerebellum tracks your current location and how your body is holding itself. This is also called PROPRIOCEPTION, see my previous blog at https://totalsomatics.com/do-you-really-have-control-over-your- coordination-and-posture/ for more information on how you hold and read your body in and out of gravity. The cerebellum then directs these body parts to where it needs to go in order to complete a task. It receives instant updates from your senses, which include sight, sound, smell, taste, sensation from sensory neurons and sends instant corrections and adjustments to your muscles via motor neurons. This amazing area of the brain is called the sensorimotor cortex, which we develop and enhance with our somatic movements. We are using this area of the brain to teach our SOMA (entire mind and body) how to move somatically. We will discuss this further in a moment. The cerebellum can also construct its own systematic memory bank for actions such as posture, alignment and timing of certain body parts. This is why you can walk, talk, eat and search for your phone when its ringing, all at the same time with no mental effort. This explains simply how we can create an automatic neural pathway. So how does this link in with Mindfulness with Total Somatics? The Mindfulness with Total Somatics online program comprises of short tutorials and instructional videos to teach you how to fully release muscle tension and tightness. The online program also teaches you how you can use your mind and body in a more intelligent, mindful manner. You are improving your muscle memory. It will open your eyes to a whole new level of understanding to how you move, stand, think and behave. Mindfulness with Total Somatics uses the neuromuscular science of muscle memory to make LASTING changes to your mind and body. By slowly and mindfully contracting, releasing and relaxing groups of muscles repeatedly, you change your neurophysiology by creating new automatic neural pathways which will actually move your body more efficiently. Mindfulness with Total Somatics has been carefully designed to help you get back to the activities you love to do, reduce pain and move freely. 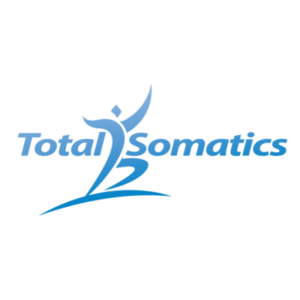 From clients’ feedback over the years and requests, Total Somatics has been able to deliver a program to suit your lifestyle and bring Somatics TO YOU. The purpose of Total Somatics is to educate and empower you with knowledge and a skill set so YOU CAN TAKE BACK CONTROL of your health and well being. Why should I do Somatics rather than stretching? This is a question I have been asked many times by people enquiring about Somatics. First of all let’s consider a tight muscle. When a muscle has been “switched on” for a long time it becomes tight and will fatigue quickly. The tendons which attach muscle to bone become very tight. As a result people find their joints can become ‘jammed’ and cause them pain. Over time this begins to result in degeneration or osteoarthritis. This cumulative affect on the joints being jammed together start to cause bone to break down or degenerate due to the intense pressure and impact through the area. Nerve pain also occurs when muscles are chronically tight. These tight muscles can compress the nerve against other tight muscles or bone. Can stretching relieve these issues? Although the idea to open and lengthen a tight muscle is correct, the thought process to stretch muscles is not a long lasting or a correct approach to release chronically tight muscles. Stretching is passive, which means that it is a spinal reflex action. The signal of stretching the muscle travels to the spinal cord and back to the muscle. Its doesn’t make lasting changes. Muscles are tight due to muscle movement memory, as we’ve learnt earlier in this blog. The memory of the muscle doesn’t reside in the muscle fibres, but rather it is in the brain. You can’t stretch out cortical conditioning without involving the brain. Mindfulness with Total Somatics often refers to somatic education as ‘cortical learning’. This is appropriate when we compare stretching with somatics. To reduce muscle tension, we have to change the cortical conditioning. To do this we have to unlearn or replace old habitual muscle memory behaviour for new movement patterns. This is when specific movements within somatics are used to change the muscle memory and release chronically tight muscles which in turn ease pressure off your joints. These specific actions involved in Somatics takes the signal from the muscles to the spinal cord and into the cortex. The information is relayed and integrated in the brain. It then travels back down the spinal cord and the motor neurons change the muscle memory. When this action is practised regularly, it changes the behaviour of the muscle. You start to move more mindfully and intelligently. My clients are also amazed how small and subtle the movements can be to get muscles to relax, joints to loosen up and a reduction in their pain levels. It is because we are changing the wiring in your brain rather than seeing how far or elaborate you can pull or push a limb with stretching. Stretching does not make lasting changes to your muscle memory. Stretching can actually be very uncomfortable and cause the central nervous system to become stressed by pushing or pulling through tightness or pain in order to get muscles to release. In actual fact when we push through tight muscles with stretching we become mindless rather than mindful because we ignore sensory feedback from our body. If a person over stretches, they feel muscle cramp, fatigue and will often trigger the stretch reflex in the muscle. A stretch reflex has been designed to stop you from over stretching. Many will comment after stretching that their hips or lower back ache. This is a clear sign of over stretching and the stretch reflex being triggered. This causes an already chronically tight muscle to tighten further as a protective mechanism and prevent it from being torn. So start moving your body mindfully and intelligently. Allow Mindfulness with Total Somatics to teach you these amazing skills which will actually alter your muscle memory by changing the conditioning of your brain. 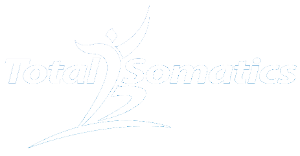 Start living a life with less pain and greater movement today with Mindfulness with Total Somatics.